Green Kid Crafts launched in 2009 with the vision of helping to raise the next generation of creative leaders. 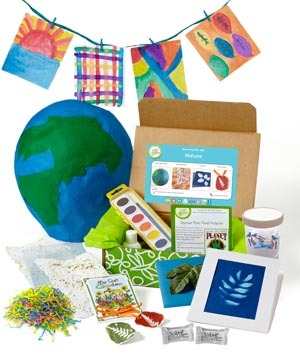 Like so many of the best children’s products, Green Kid Crafts is a mother’s invention, created by a working mom and environmental scientist whose personal experiences taught her how important it is for children to exercise creativity, develop a love of discovery, and learn about the world around them. At Green Kid Crafts, our STEAM (science, technology, engineering, arts, and math) subscriptions create those opportunities, and certainly spark the imagination! Our products deliver discovery, learning and fun to children ages 3-10, and we’ve also built a wonderful community of parents, grandparents and educators that share our vision. All together, we have built a business that we are incredibly proud of.